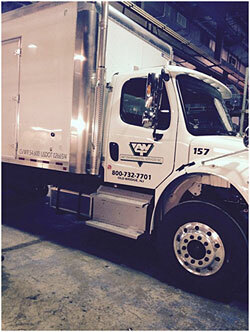 AWT has obtained various transporter licenses in several states and jurisdictions. One of these is the New York State Pat 364 license for hauling in the State of New York. AWT also obtained our New Your City Business Integrity Commission (BIC) license. In addition, AWT was granted both the hazardous and solid waste hauling licenses by the Pennsylvania Department of Environmental Protection (PADEP). These licenses help us support the increasing remediation project the company performs in the Boroughs, upstate New York and on Long Island, as well as sites across Pennsylvania from Philadelphia to Pittsburgh and all points in between. This increases our flexibility, responsiveness and cost-competitiveness, allowing your projects to be brought in on time and on budget.